After a car accident, it is normal to experience some dizziness and discomfort. After all, a motor vehicle accident is traumatic on the body and brain. If you are diagnosed with whiplash, then you are at a higher risk for a vestibular injury. Whiplash injuries often affect the area of the brain responsible for your balance, spatial awareness, and coordination. That is because the violent whipping motion your body experienced in the car accident affected the area of your neck and base of the skull that is responsible for sending information toward the vestibular system. What Is the Vestibular System and Why Is it Commonly Injured in West Palm Beach Accidents? The vestibular system is your body’s inner ear and portions of the brain that process sensory information. They work together to control your balance and eye movement. Mostly, your vestibular area is the link between your inner ear and brain that helps you stay balanced. Whether you are walking across the room or getting out of bed, your feet remain on the ground, and you remain upright because of your vestibular system. Once damaged, you may suffer a vestibular disorder. These disorders come with frequent dizziness, trouble with balance, and hearing or vision complications. These symptoms might not subside right away either. In fact, one study found that mild head trauma caused dizziness for up to two years in 18 percent of patients. There are a few common types of vestibular disorders a person can suffer after experiencing head trauma, such as that from a rear-end collision or a catastrophic accident. Benign Paroxysmal Positional Vertigo (BPPV): BPPV is a common type of positional vertigo, which makes you feel like you are swaying or spinning suddenly. It is caused by small amounts of calcium crystals that form in the ear and move where they should not be. Once they move, they tell your brain that you are moving – even though you are standing still. Labyrinthitis: Also known as an inner ear infection, this injury occurs when the structures deep inside your inner ear are inflamed. Not only will it affect your hearing, but your balance. You may also have pressure, pus, or ear pain. This type of disorder is less common in motor vehicle accidents. Meniere’s Disease: This disorder creates sudden vertigo attacks and tinnitus, which is a ringing or buzzing in the ears. It can be caused by an excess fluid buildup in your inner ear and may result in hearing loss if not treated. Perilymphatic Fistula (PLF): Another standard vestibular disorder created from motor vehicle trauma is PLF. This involves a small tear between the middle ear and a fluid-filled sac of the inner ear. It leads to dizziness and hearing loss in some cases. Surgery is often required to repair the fistula, and the tear is then plugged with tissue from the outer ear to prevent further damage. If you have a vestibular dysfunction, you may have difficulty working, going to school, or even getting out of bed without sickness or feeling like you are going to fall over. You may feel lightheaded, a rocking sensation, or the feeling of spinning continuously throughout the day. You may need to hold something to balance yourself and walk, suffer from frequent falls, and you could have muscle or joint pain just from trying to stay upright. When Does a Vestibular Dysfunction Show Up? Some people will have symptoms the day after their injury, while others may feel fine and only start to experience symptoms a few days to weeks afterward. When the signs show up a week or more after the accident, most victims do not put the two together. And the further from the date of the accident you actually see a doctor – at that point the physician may not be able to explain why you have a vestibular dysfunction – the harder it may be to prove that your systems were caused by the accident. How Are Vestibular Dysfunctions Treated? While these symptoms can severely disrupt your ability to enjoy life, work, or even spend time with your children, they are treatable. You will need to see a specialist to determine your best course of treatment, which may include a combination of balance activities, head and neck exercises, vision tests, and surgery. 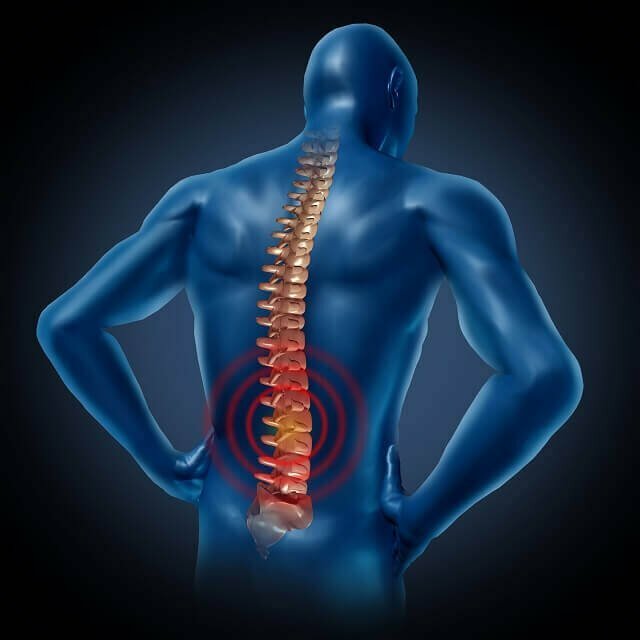 Chiropractic treatments and cold laser therapy are popular treatment options as well. You may also need to see a physical therapist to help you cope with the dysfunction and re-learn balancing techniques. Can You Receive Compensation for Vestibular Injuries? If a vestibular injury occurs from a motor vehicle accident caused by someone else’s negligence, you can receive compensation for your injuries. You must speak with an attorney to explore your options and file your claim. If you have suffered from whiplash or a vestibular dysfunction after an accident, it is in your best interest to contact an attorney. The team at The Law Offices of David M. Benenfeld P.A P.A can help you with your case. We have a team of attorneys that will fight aggressively throughout the process and ensure you receive the compensation you deserve for your car accident damages – including the effects of a vestibular dysfunction. Schedule a free, no-obligation consultation with our team today by calling 954-677-0155 or request more information online.